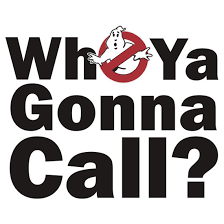 Broker Check-Who Are You Gonna Call? Most people expect the food in a three-star restaurant to be tastier than one-star grub and a two-thumbs-up movie to be better than a flick that got a solitary upward-pointing thumb. Good luck, however, finding a handy way to rank stockbrokers. That needs to change, because new research shows the most valuable information about brokers emerges only when you can compare them and their firms industry-wide. The Financial Industry Regulatory Authority, which oversees how investments are sold, maintains BrokerCheck, a database and website that provides information on nearly 1.27 million current and former brokers. A study by Finra last fall found that BrokerCheck data could reliably predict which brokers are most likely to harm their clients. And so you could, if you had open access to all the data Finra collects on BrokerCheck. But, contends a new report, the regulator keeps such a tight hold that the service doesn’t tell investors what they need to know. The vast majority of brokers are hardworking, honest folks who have no customer complaints on their records. But those who have been active since before 2000, and those whose colleagues have a history of misconduct, are much more likely to generate complaints from customers, according to the new analysis. Those insights emerge only from analyzing oceans of data on brokers and their firms — an absurdly impractical task for ordinary investors looking up BrokerCheck records one at a time. How much should you worry if a broker settled a complaint for $25,000? Are four arbitrations in 27 years a lot or a few? Have 13 out of 14 of the other employees in your broker’s office had complaints lodged against them? There’s no way outsiders with conventional computing power can tell. Nor can investors readily figure out which firms have the most employees with marks on their records. And that matters — a lot — because taking advantage of clients seems to be contagious. Brokers whose colleagues have spotty track records end up harming investors much more often, the new report says. An unrelated recent study, which looked at some 150,000 brokers at nearly 1,000 firms, found that in the wake of a merger between firms, the average broker becomes over one-third more likely to incur customer complaints if his or her new brokerage colleagues have a history of misconduct. Yet another analysis, released last month by economists at the University of Minnesota and the University of Chicago, found that brokers with a history of complaints were snapped up by other firms rather than being driven out of the industry. So, before hiring a broker, you should know the disciplinary record of his or her colleagues. Even a report from Finra itself last fall drew a similar conclusion. The latest study was conducted by Securities Litigation and Consulting Group, a research firm in Fairfax, Va. Part of its business is providing expert-witness testimony in arbitration proceedings against brokers and their firms. 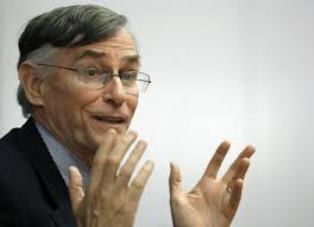 Still, “my incentives don’t change the arithmetic,” says SLCG founder Craig McCann, a former economist at the Securities and Exchange Commission. FINRA CEO Richard Ketchum will retire from the brokerdealer industry’s self-regulatory organization by the latter part of next year. According to coverage from BankInvestmentConsultant.com, FINRA’s board of governors is expected to look internally and externally for a successor. Ketchum has been a critic of the Department of Labor’s proposal for a fiduciary standard for the wealth management industry. In May, he warned that the proposal comes with inadequate guidance to help firms navigate conflicts and ensure that they are engaging in appropriate compensation models when serving retirement plans or individual investors. BrokerDealer.com maintains the global financial industry’s most comprehensive database of broker-dealers operating in more than 30 countries across the world. Ketchum, 64, came to FINRA in 2009 from the New York Stock Exchange, where he was CEO of NYSE Regulation, and in the aftermath of the financial crisis. The industry veteran’s career includes 14 years with the SEC, where he was director of the Division of Market Regulation for more than half of his tenure with the agency. “He worked tirelessly to protect and educate investors while also improving the integrity of the markets,” SEC Chairwoman Mary Jo White said. “Investors are better protected and our markets are stronger because of Rick Ketchum.” Ketchum continues to serve as a member of the SEC’s Market Structure Advisory Committee. “Investor protection is our principal reason for being, and I have been honored to work with an incredibly dedicated and talented group of professionals who take this vital mission seriously,” he said. SIFMA CEO Kenneth Bentsen Jr. said Ketchum was at the forefront of every major milestone in the evolution of the U.S. securities markets over the last 40 years. “He has made his mark in ensuring a robust, efficient and pro-investor marketplace, and we wish him all the best in his retirement,” Bentsen said. The Securities and Exchange Commission has approved a Finra rule that would require brokerage firms to include a link to a public database containing background information about their brokers on their websites. Under the rule, a brokerage will have to include a “readily apparent reference and hyperlink” to BrokerCheck on a homepage that is initially viewed by retail investors. It also would have to include links to the database on profile pages of individual brokers. 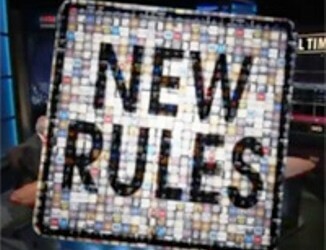 The rule will go into effect no later than 180 days after the SEC approval order is published in the Federal Register. It’s not clear when the order will appear there. BrokerDealer.com update profiles this week’s MadMen style-campaign by Finra in their effort to encourage investors to use Finra’s BrokerCheck platform in advance of engaging a particular registered broker-dealer. Below is the excerpt from InvestmentNews.com. Finra launched an advertising campaign on Monday to encourage investors to research their brokers before hiring them, but some industry observers said Finra’s database doesn’t provide enough information. BrokerDealer.com provides a global database of broker-dealers registered in the US as well as those performing brokerdealer services in upwards of 30 major countries throughout the world. The digital, print and television ads promote BrokerCheck, an online database managed by the Financial Industry Regulatory Authority Inc. The database provides employment and disciplinary history about brokers, as well as their certifications and licenses. 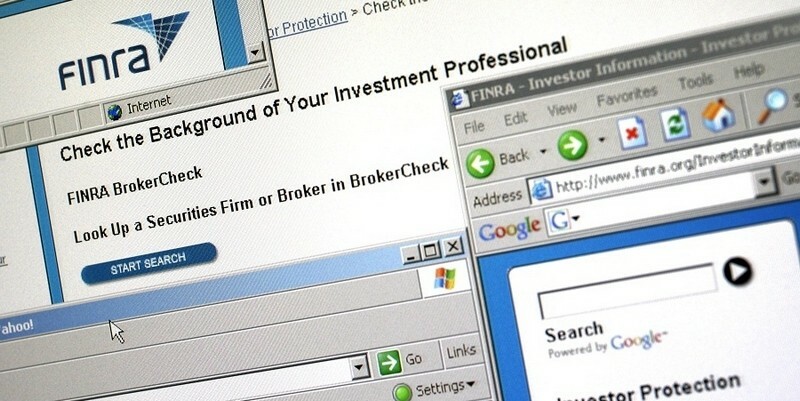 The ads are hitting the airwaves just days after Finra submitted a rule to the Securities and Exchange Commission for final approval that would require brokers to include a link to BrokerCheck on their websites and brokers’ profile pages. A print ad will run in Tuesday’s Wall Street Journal. Digital ads will appear on financial-news websites as well as search engines.